An auto coupling set is also known as a guide rail set/system. 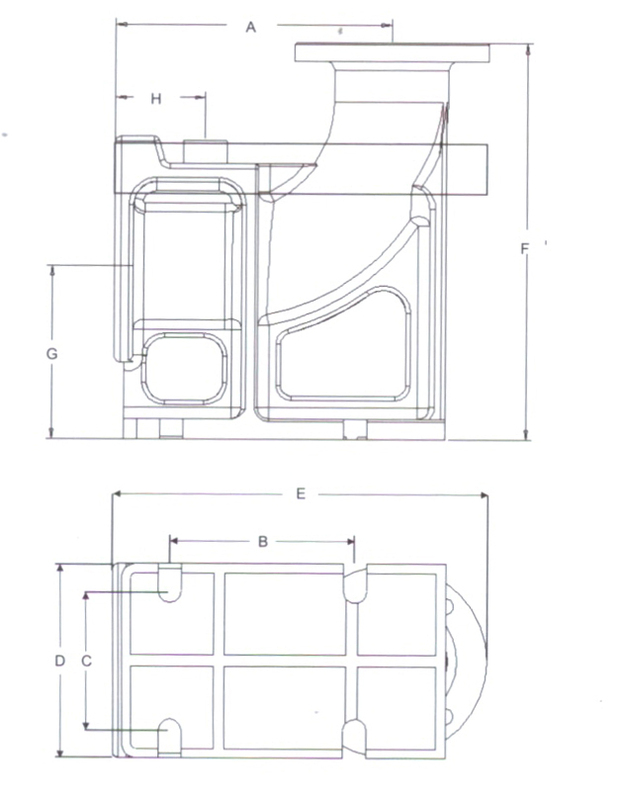 This is a slide rail assembly that enables a pump to be easily lifted or lowered within a sump or chamber, for cleaning or maintenance duties without the need to disconnect fittings, fixings or pipe work. 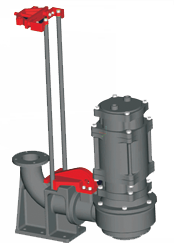 A standard kit consists of a base (“duckfoot” or “pedestal”), pump adaptor/guide hook and upper rail positioning bracket. It sets include lifting chains and shackles. 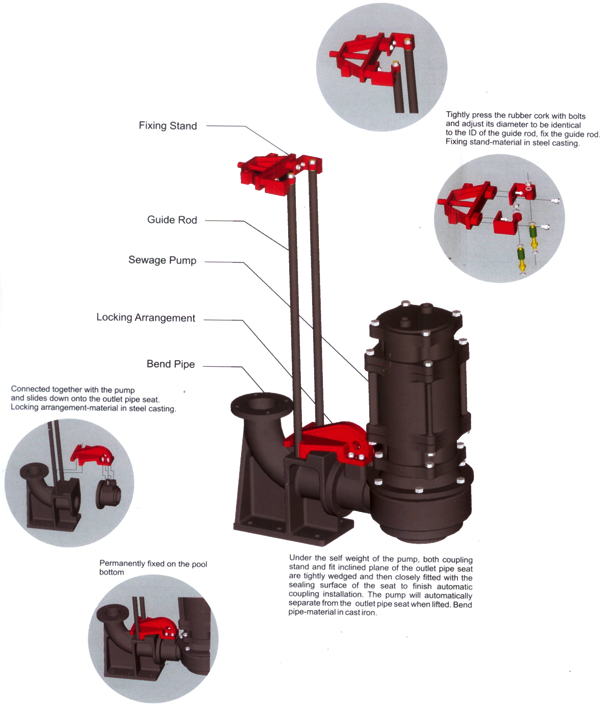 Depending on what model is selected, the pump is guided up and down by one or two rails, not included, which direct the pump to its proper seating location (with a positive seal) or enable simple removal from the system/sump.